On October 16, 2012, the US Attorney’s Office for the Northern District of Illinois stated that Robert C Pribilski and John T Burns, III are scheduled for arraignment tomorrow, October 18, at 9:30 a.m. The third defendant is Mahmut Erhan Durmaz, but he fled the United States in March of 2010 and is believed to be hiding in Turkey. Pribilski and Durmaz are charged with 5 counts of wire fraud and 4 counts of mail fraud. Burns is charged with 3 counts of wire fraud and 3 counts of mail fraud. The indictment is requesting that the defendants forfeit $28 million. According to court documents, the defendants falsely offered promissory notes for USA Retirement Management Services in Oakbrook Terrace and southern California. The notes promised investors payments between 4.75 and 11 percent every year. Pribilski and Durmaz promised the investors that interest was coming from Turkish bonds, but the two defendants were actually using revenue from the sale of promissory notes to pay other investors through a Ponzi-scheme. The defendants had no experience in banking and never made investments in any Turkish bonds. The court documents indicate that Pribilski and Durmaz used about $2.5 million from investor funds to make payments for their homes and other expenses as well as obtain medical insurance for all three of the defendants. Restitution is mandatory in this case. 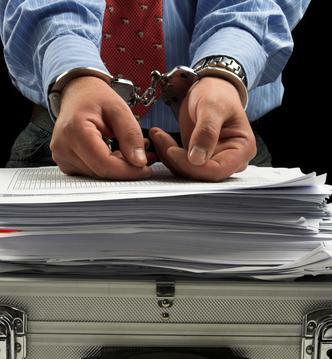 The FBI reports that each count of wire fraud and mail fraud has a maximum sentence of 20 years in prison and a fine up to $250,000. The court can also order a fine that equals twice the loss to any victim or twice the gain for any defendant. The men defrauded more than 120 investors. The case is being prosecuted by Assistant United States Attorney Ryan S. Hedges.